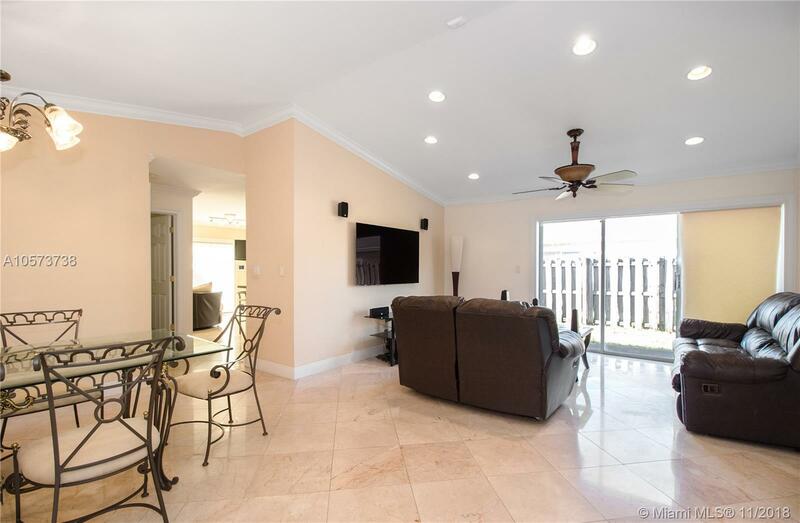 Beautifully upgraded 3 Beds/2 Baths Single Family Home in Doral Pines with gated 24 hours security entrance. Upgraded kitchen with KitchenAid appliances, remodeled bathrooms, marble floors in common areas and bathrooms, wooden floors for the bedrooms, spacious master suite and walk in closets are just a few of the amazing features of this home. Surveillance cameras, fenced patio and a natural lightning throughout the home provides a relaxing atmosphere. Enjoy the amenities at Doral Park Country Club. Easy access to major highways and malls. Selling Office: Unlimited Real Estate Corp.